Kamila Sudusinghe is now following Marriott Baltimore Waterfront. Kamila Sudusinghe is now following Transform USA, ESSAE Annual Conference & Trade Show. Kamila Sudusinghe updated their profile image. 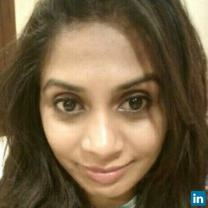 Kamila Sudusinghe added Hayleys Advantis Limited, AGILITY LOGISTICS to their work history.